Create a memorable brand, create a communications strategy that helps the ministry grow. Scarlet Hope is close to my heart. For those of you that know me, my wife and I started Scarlet Hope in 2008 out of a calling to share the hope and love of Jesus with the Adult Entertainment Industry. My wife Rachelle is the Executive Director in the ministry, and I wear a lot of different hats. One of those hats would be the communications director on paper. With those unofficial duties, I set out to create a brand that would communicate clearly to our partners and those that we help. The website is now on version 5 or 6, and is a constant evolving project. As the ministry grows so has the needs of the website. The current website is responsive and very informational driven. 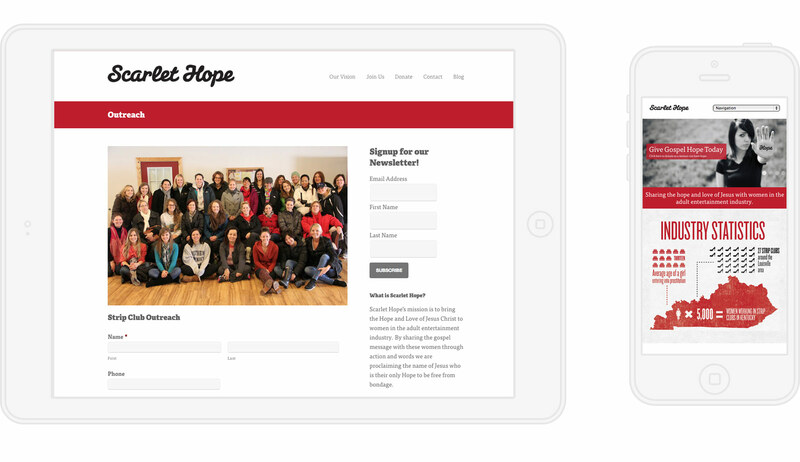 Since most people haven't heard about Scarlet Hope, I made a very simple homepage that describes the need of the ministry, as well as what we do. I also produce videos, print work, social media strategy for the ministry. Take a look at the website, and let me know what you think. 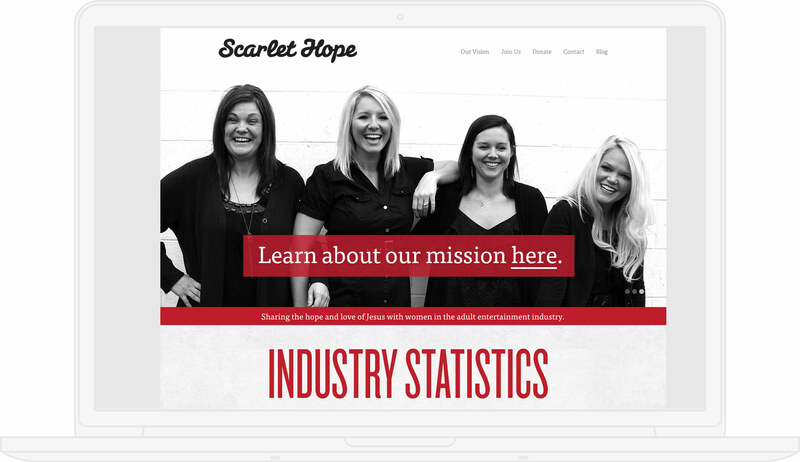 Do you want your website to be successful like Scarlet Hope?